For this class I used the following copic markers. This list is only optional if you want to use the same colors I used. We will find color combos with the markers you have. 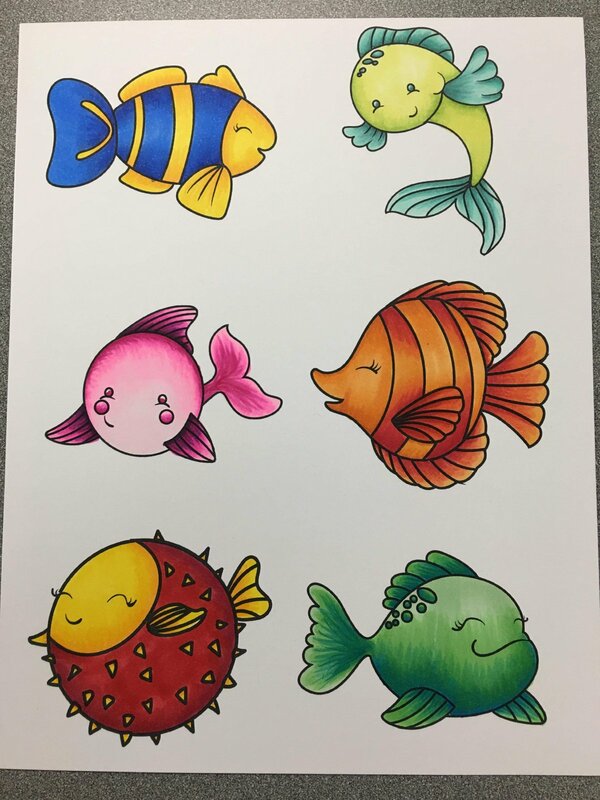 The images this month are Fish and can be colored in a variety of colors.